Ahmad Wali died in a bomb blast in Kandahar city on 25 August and Samim was killed in a suicide attack in Kabul on 15 September. Both men left grieving families with little capacity to cope on their own. “We could not afford to pay the rent so we left our old home and have moved into a small room outside the city,” said Samim’s eldest son, Arif. 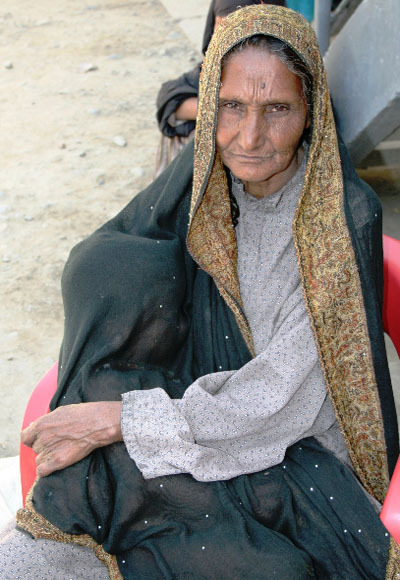 “My children cannot go to school any more because we cannot afford their education,” said Wali’s widow, Pashtana. Both families have found it increasingly difficult to meet their food needs: “We eat whatever we can find but wait for God’s mercy when there is no food,” said Pashtana. “We don’t receive a single dollar from the government to help war victims and their families,” Suraya Paikan, deputy minister for Labour, Social Affairs and Martyrs & Disabled, told IRIN, adding that tens of thousands of victim households were registered with her department. The office of the president told IRIN that in the last 18 months over 2,800 “condolence payments” (US$2,000 each) had been made to families that had lost a family member in the war, and 1,700 “sympathy payments” ($1,000) had been distributed to people wounded in the conflict. However, the president’s “condolence payments” are ad hoc and authorized only for specific families - mostly those affected by military operations by pro-government forces, officials said. Wali and Samim’s families said they had received no support from the government or aid agencies apparently because both men were killed in explosions allegedly perpetrated by anti-government forces. Despite having one of the largest war victim populations in Asia, Afghanistan does not have a law on how to deal with hundreds of thousands of war widows, orphans and disabled. “There is a lack of almost everything - from budget, to capacity, to political commitment and to laws and rules,” Paikan said. Noor-ul-Haq Ulomi, a member of the National Assembly who served the Soviet-backed government in the 1980s, accused the international community and the current Afghan government of failing to heed the plight of war victims. “In the past the [Soviet-backed] government distributed free land and apartments, [making available] education facilities for orphans, and employment for widows and disabled people, but the existing government has done nothing compared to what had been done in the past,” he said. 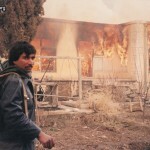 The families of about 100,000 government employees, police officers, soldiers and Mujahedin fighters killed in fighting between 1979 and 2001 have been registered at the Ministry of Labour, Social Affairs and Martyrs & Disabled (MoLSAMD), but assistance is minimal: With funds from the World Bank the government pays up to $12 monthly (40 US cents a day) to each family. Government officials acknowledge that the real number of victim families is much higher but say they cannot help all of them. Some beneficiaries said the monthly payments they received could not meet their needs for a single day, and also criticized the payment process as corrupt and bureaucratic. “The main weaknesses of the current social protection programmes include lack of well-designed targeting instruments, poor coordination across programmes, poor budgeting, and weak institutional and administrative capacity,” the World Bank said in a statement on 15 October. The statement also said the Bank would spend $7.5 million in the next four years to strengthen the capacity of MoLSAMD and help develop its welfare programmes. Meanwhile, more families are becoming victims of the fighting: The UN Assistance Mission in Afghanistan (UNAMA) recorded 2,118 civilian deaths in 2008, compared to 1523 in 2007. In 2009 UNAMA “recorded 1,500 civilian casualties between January and August, with August being the deadliest month since the beginning of 2009. These figures reflect an increasing trend in insecurity over recent months and in elections-related violence,” said a recent report to the Security Council by the UN Secretary-General. “Almost three times as many civilian deaths (68 percent) were attributed to anti-government elements’ activities than to pro-government forces (23 percent). The most deadly tactics used and which accounted for the largest number of civilian casualties in the conflict to date were attributable to planted improvised explosive devices; suicide attacks carried out by anti-government elements accounted for 39.5 percent of fatalities. Air strikes by pro-government forces accounted for 20 percent of fatalities,” the report said. 80% of Afghan women suffer domestic violence, 60% of marriages are coerced, and half of women are married before the age of 16.